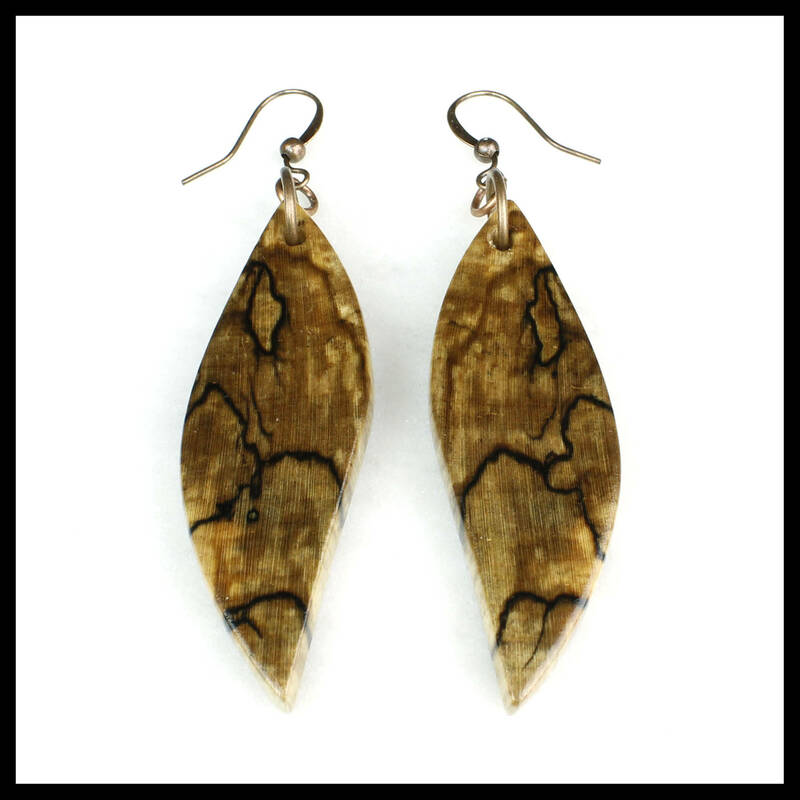 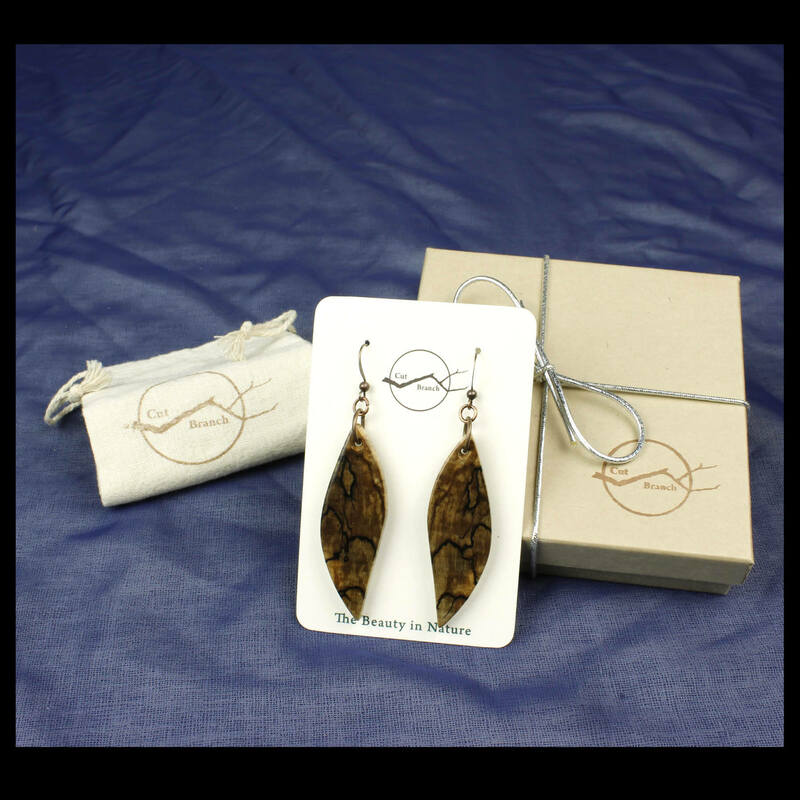 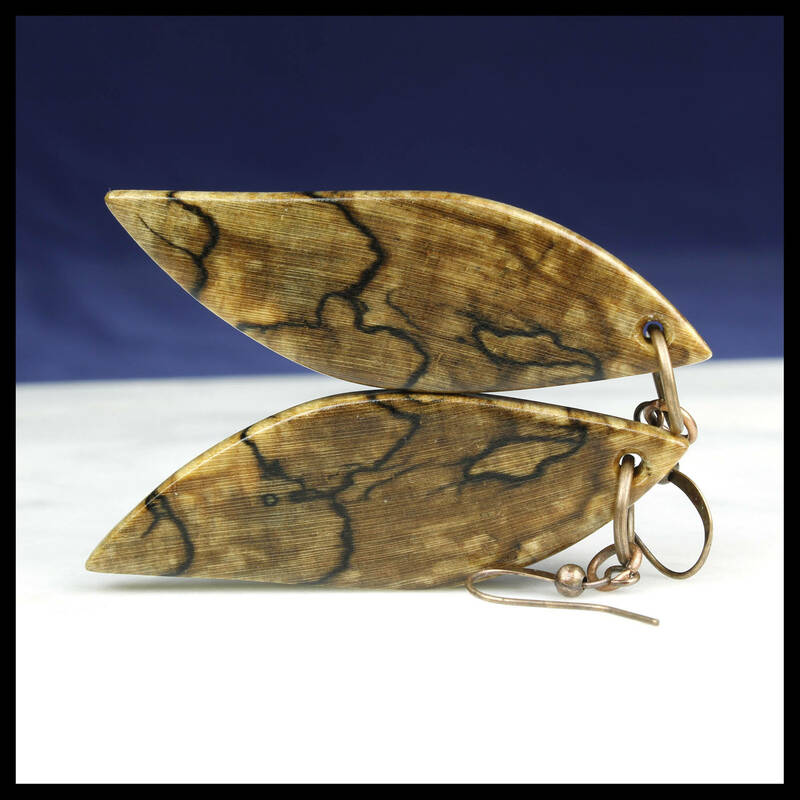 Spalted Wood earrings, spalting patterns run throughout the wood of this pair of earrings. 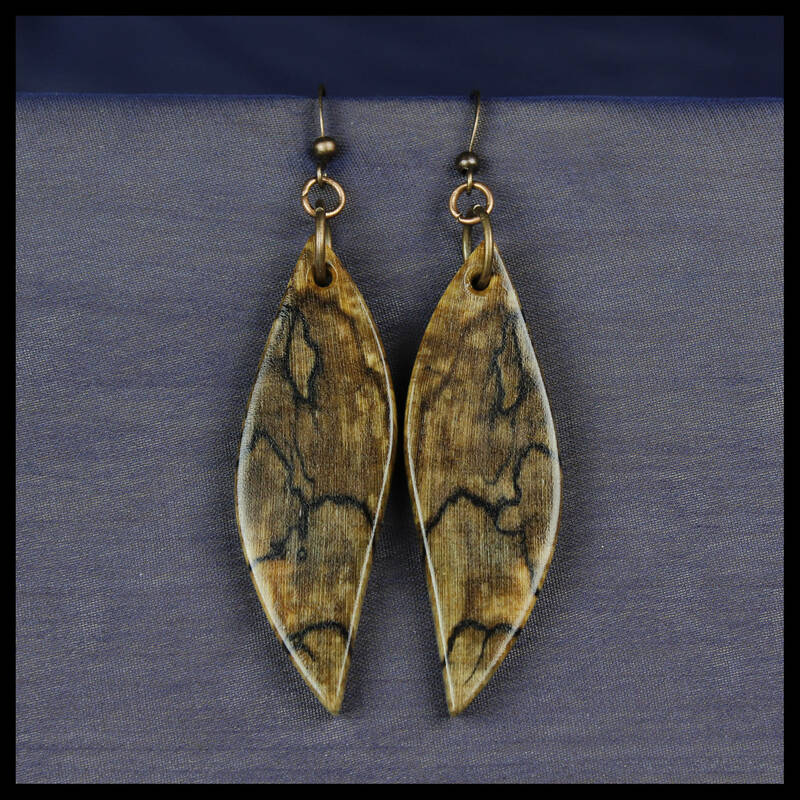 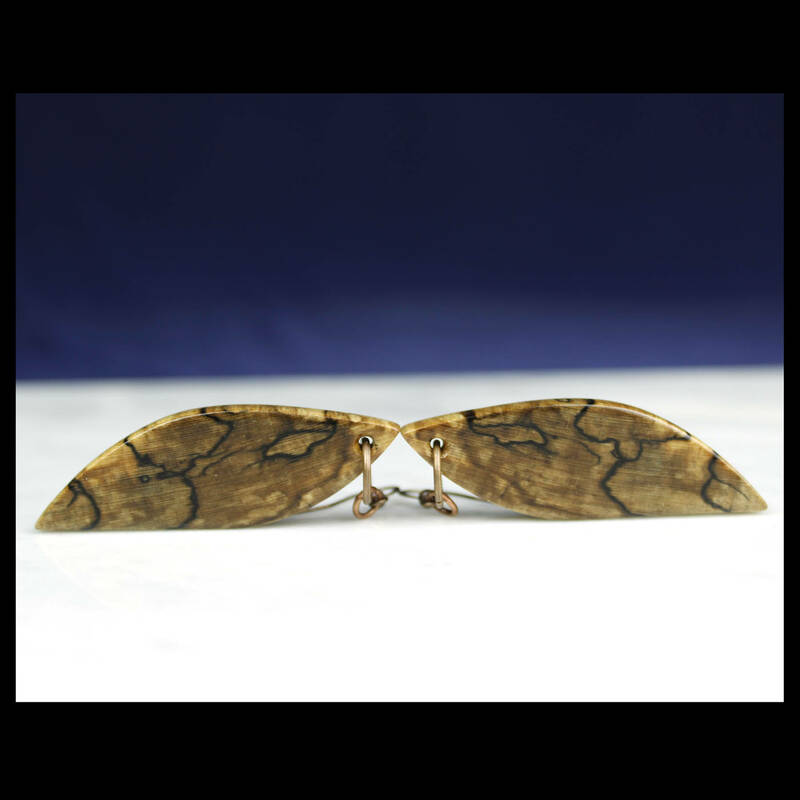 These earrings have been cut from a single piece of wood to create a mirrored or "book-matched" pattern in the grain. 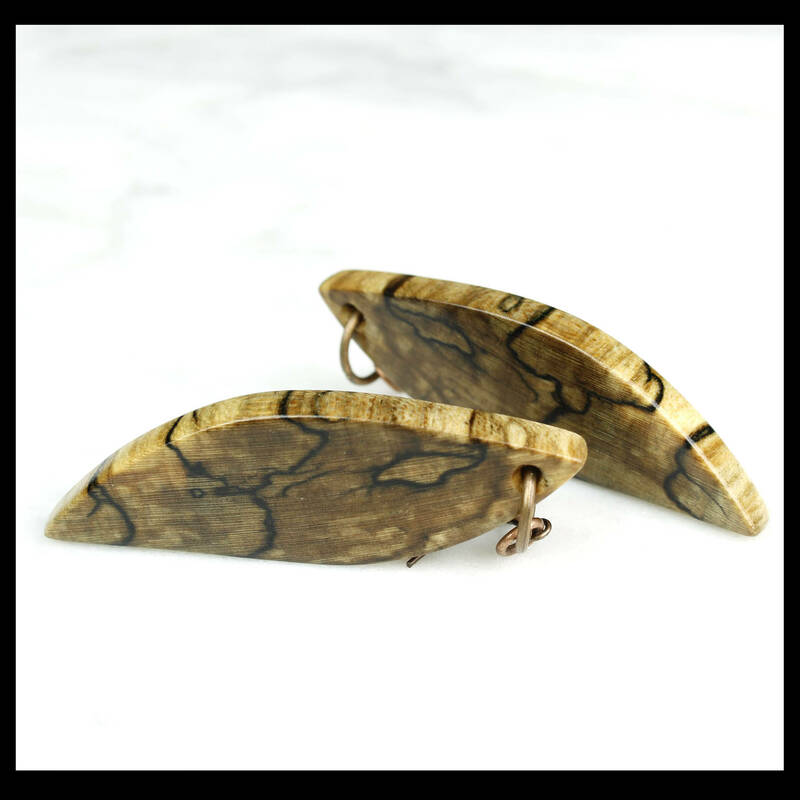 • Each pair is unique and will have slight color and grain differences, but the shape and style will be the same. 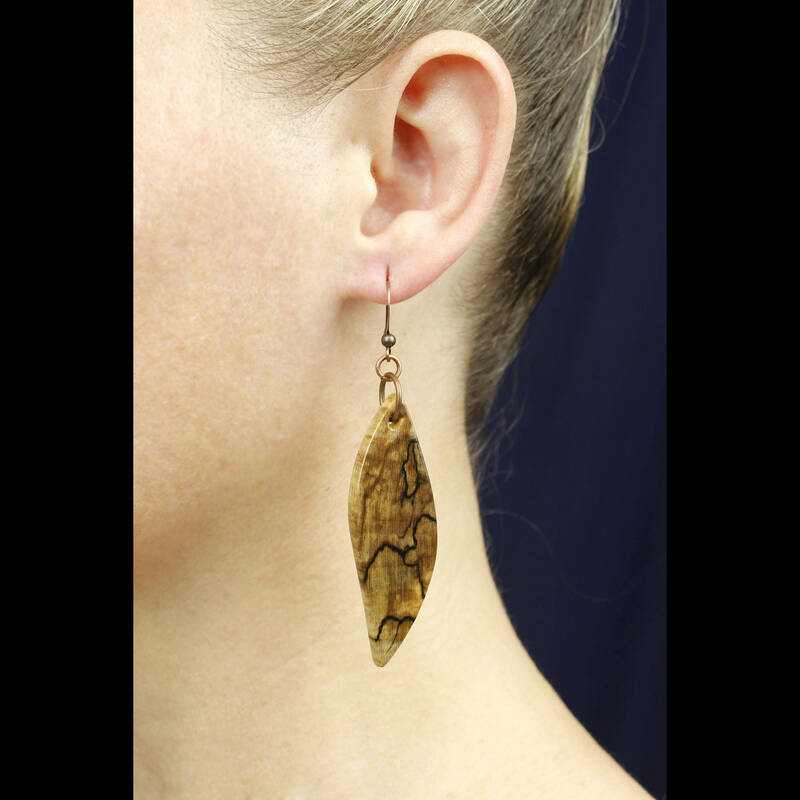 • You Can Find more of our amazing pendants here.